In one of the oldest cities in the colonial United States, “history and hipness go hand in hand.” Founded in 1636 by a religious exile, Providence, Rhode Island, played early roles in the American Revolution and industrial revolution, becoming a hub of manufacturing in machinery, tools, silverware, jewelry, and textiles. It’s manufacturing prowess made key contributions to the Union in the Civil War (though local politics were divided on slavery), and subsequently Providence thrived with waves of immigration and industrial wealth. When de-industrialization took a brutal toll, the city focused reinvestment programs on the service industry and its phenomenal arts and educational institutions. This dynamic historical trajectory makes Providence a fascinating place for EPIC attendees to explore Agency and the “age of automation.” It is also a perfect hub for accessing New York City and Boston. Conference programming will take place at the The Graduate hotel (formerly the Biltmore) and the Rhode Island School of Design (RISD). RISD is a private, nonprofit college founded in Providence in 1877—making it one of the first art and design schools in the United States. Approximately 2,480 students from around the world are engaged in liberal arts studies and rigorous, studio-based learning. 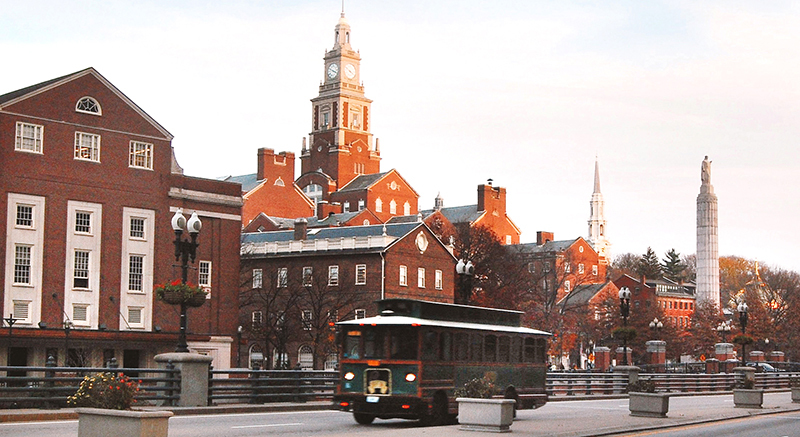 RISD and the RISD Museum help make Providence one of the most culturally active and creative cities in the region. Designed by the prominent architectural firm Warren and Wetmore (of NYC’s Grand Central Station), the historic Graduate hotel in downtown Providence is on the National Register of Historic Places and a member of Historic Hotels of America, a program of the National Trust for Historic Preservation. A limited number of rooms at the conference rate of $149 (plus taxes/fees) is available on a first-come first-served basis. Mobility and hearing accessible rooms may be requested in the reservation process. 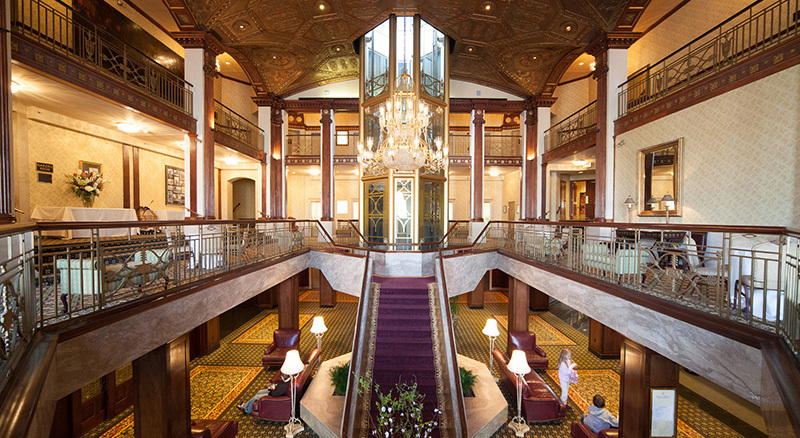 Reservations are accepted until our room block is full or until October 14. Rhode Island’s industrial past and creative future come together in the stunning WaterFire Arts Center. 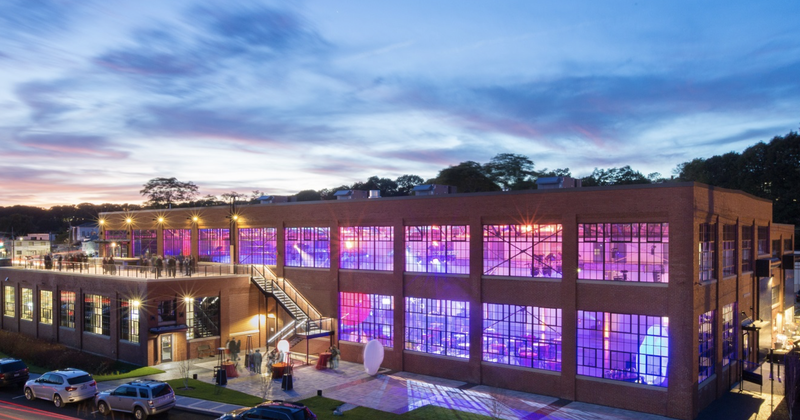 Housed in a renovated manufacturing facility built in 1929 by the US Rubber Company, the center is devoted to revitalizing the urban experience, fostering community engagement, and creatively transforming the city. EPIC2019 attendees will eat, drink, and dance in the Main Hall, an original brick-and-steel structure with soaring a 40-foot vaulted ceiling, floor-to-ceiling windows, and a 15-ton rolling gantry crane. We’ll be treated to food and cocktails by Russell Morin Catering, specializing in New England regional flavors and seasonal, locally sourced ingredients (vegetarian options available). DJ Yummy will fill the soaring space with an eclectic blend of deep, soulful, funky, Latin and West African inspired dance music. Dinner tickets are $60 and must be pre-purchased during or after conference registration. They’re available on a first-come, first-served basis until we sell out. The ticket price includes transportation to and from WaterFire Arts Center, dinner, and cocktails. Para-transit is available—please contact us for any accessibility-related arrangements. We will post more details about accessibility as our meeting venues and rooms are finalized. Please contact us with your needs, questions, and comments so we can make sure the conference experience and all relevant information are accessible to all attendees.